For this edition of she made, ella hace, Leslie and I decided to make Atole. Atole is a simple soul-warming porridge that is most often thickened with masa, but can also be made from rice, oats, fermented or ash-cooked corn, pinole (sweetened, toasted cornmeal), or even amaranth. For a richer, thicker version use milk. For a thinner version use water. I usually go with half milk and half water for a great balance. Nuts, fruit & berries, and/or chocolate can also be added (check out my Atole de Chocolate aka Champurrado). Don't forget the vanilla, cinnamon, anise...or even chiles that can be added to the mix. When I think atole, I usually think piloncillo (or even white sugar for some of the fruit versions). But atole isn't always eaten sweetened, it is also made savory by incorporating chiles, epazote (pungent herb), or fresh corn. I think it's worth mentioning that Native Americans and Aztecs also refer to toasted blue-corn meal that is ground really fine as atole, as well. Atole is often ladled steaming into jarros to warm you up and coat your shaking bones on cold days either for breakfast, as a snack, or even after dinner as a sort of dessert. You can find street vendors doling it out year round, but it is very commonly made in homes during Dia de los Muertos and the Christmas "season" (las posadas and Dia de Reyes). In our house, we drink it most often in the wintertime. Mi esposo's favorite versions are fresa (strawberry), guayaba (guava), and vanilla. I love champurrado (chocolate), vanilla...okay, pretty any kind. It's nice to make it with pineapple or juicy berries, as well. I've tasted atoles in other homes that is only slightly thickened, but personally, I like it so thick that you almost have to chew it! Really, it's just automatic reaction when it crosses your lips...your teeth start moving it around before swallowing. Although I'll admit, when I made during a warmer time of the year I thin it out considerably. But in the middle of a snowy day after shoveling or sledding or ice skating or just looking out the window, nothing beats a thick, steaming mug of atole. Combine masa harina and almond meal with warm water in a blend and blend until smooth. Pour into a medium-sized heavy-bottomed pot. Scrape the seeds from the vanilla bean and add those to the pot along with the scraped pod. Add remaining ingredients. Bring to a simmer over medium-low heat, stirring often. Let bubble slowly for about 5 minutes or so, whisking almost constantly. Mixture will be thick. If you prefer a thinner atole, Simply whisk in some more milk or water until you achieve your desired consistency. Enjoy warm! If you don't have a vanilla bean, stir in ½ tsp. of pure vanilla extract after mixture is done cooking. Perfect breakfast for a cold Chicago morning! this sounds...kinda like the best milkshake ever. And that's how I intend to eat/drink it. I learn so much from your blog, Heather! I love the flavor of masa harina. In fact, I love everything in this, the almond meal, the vanilla bean...and your photo of the mitten'd hand holding it is great. I'm definitely bookmarking this to make. Hi Francesca and happy 2012 to you, as well! Yes on both accounts. Masa Harina is really is just some pretty finely ground corn flour and almond meal is another name for almond flour. It's all good!! 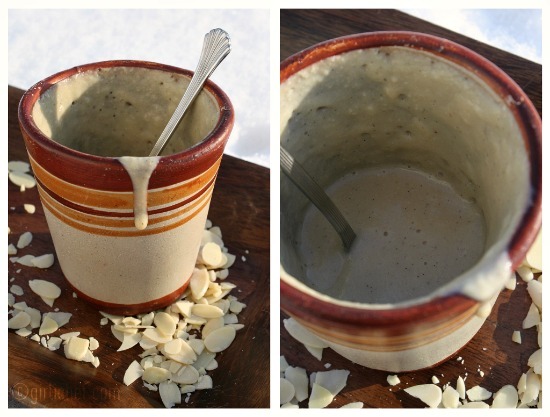 I've never heard of atole - thanks for sharing this! How interesting! This looks like such a nourishing breakfast! My breakfast of choice in the winter is always hot cereal but I get tired of the same old oatmeal or seven-grain so I'm thrilled to see this recipe. I had never heard of atole before, but I am anxious to give this a try as all the ingredients sound wonderful to me. The only thing I'm not sure of is where I would find piloncillo. You could try a local ethic market if you have one (Indian Jaggery is very similar), but if not, substitute about 1/3 cup of dark brown sugar + 1 Tbs. molasses...it imparts a very similar flavor! I am not really the porridge type, but somehow this does look delicious. It looks so good, nice and hearty for a cold winter morning. I love what you and Leslie have created together. Isn't the internet amazing? The Atole looks amazing too. I'd love to taste it. What rock have I been living under? I've never heard of Atole. I want it . . . now! This sounds so good and warming. Yummm. This looks really smooth and creamy! 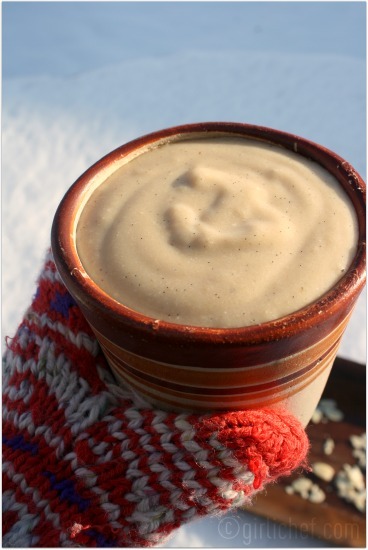 I've never heard of atole either, but my goodness it looks great for winter! Gorgeous pictures!! I wonder how easy some of these ingredients would be to find at my local grocer? Looks wonderful! Guayaba was my favorite drink flavor from the street vendors in Mexico. Guayaba atole sounds delish. 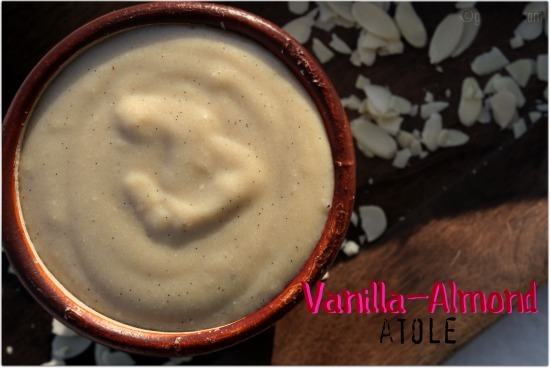 I had never heard of atole before this post, but it sounds amazing! I would love to taste it! I have never heard of or tasted atole before, but it sounds just wonderful! I love your photographs of this warming traditional drink too - it looks so comforting, and absolutely perfect for a cold day! Thank you so much for sharing this post with the Gallery of Favorites.